The Coalition’s October general meeting occurred on Thursday, October 20th. In attendance were folks from the Transit Riders Union, Washington State Department of Health, King County Public Health Department Health Care for the Homeless, the Low Income Housing Institute, First Place, City of Seattle, Plymouth Housing Group, REACH, King County Metro, Crisis Clinic, The Salvation Army, Jewish Family Services, Seattle Public Library, Child Care Resources, the Housing Development Consortium, Seattle Department of Transportation, El Centro de la Raza, St. James Cathedral, and the Church of Harm Reduction. Thanks to everyone who attended! The Coalition helped 365 homeless voters register this year, one for every day! Thanks for helping at your member organization. 83% of eligible voters are registered in the state of Washington. Lets get them all to vote! Take action: put out voters guides and lists of the drop box locations in your organization. Click here for the map of the locations of the 43 ballot drop boxes in King County. Get more information by reading our voting tips. We were joined by Patricia Sully of the Public Defender Association/ Vocal-WA and Chloe Gale of REACH, for a discussion of the Heroin and Prescription Opiate Task Force recommendations. The recommendations by the task force fall into three categories: Primary Prevention, Treatment Expansion & Enhancement, and User Health & Overdose Prevention. Patricia and Chloe focused primarily on the User Health & Overdose Prevention recommendations and the Treatment Expansion recommendations. The two recommendations in the Health and Overdose Prevention section were to expand the distribution of naloxone and to establish at least two Community Health Engagement Locations/Supervised Consumption Sites. Naloxone is a drug that blocks the effects of opiates, thereby reversing opiate overdose. Click here for more information about naloxone and here for information on how to recognise an overdose. Supervised consumption sites are public health facilities that offer a safe, hygienic place where people can use their own drugs under medical supervision. These sites reduce the spread of HIV and hepatitis-C by providing sterile equipment and safe disposal for used needles, prevent deaths caused by overdose, decrease public drug use and drug-equipment litter, and provide access to health and social services. The task force specifically recommended consumption sites as opposed to injection sites because broader guidelines allow drug users to move away from injection to safer methods of drug consumption. For more information on supervised consumption sites visit the Yes to SCS facebook page. Click here for information on the effects of supervised consumption sites in other cities. The Treatment Expansion and Enhancement recommendations are to increase access to buprenorphine and remove barriers to treatment. Buprenorphine is a medication that can be prescribed to treat opioid addiction, unlike similar medications each dosage does not have to be administered by a medical professional which makes it more accessible. Click here for more information on buprenorphine. Recommendations for reducing barriers to treatment included developing on demand treatment for all types of substance use disorder treatment services and removing certain restrictions that opioid treatment programs have. Budget Process: We are asking that the City of Seattle City Council fully fund human services and prioritize harm reduction and housing first. Here are some sample messages to email to all 9 Seattle City Councilmembers today! We thank Coalition members like Stephanie Endres, who are writing open letters and otherwise engaging in community dialogue about homelessness. Find her open letter to White Center folks about the proposed shelter here. Take action: show up to council meetings; email and call your Seattle City Council and King County Council members about increasing human services and stopping sweeps; talk to your friends and neighbors; dispel misinformation about homeless people, sweeps, and what is happening politically around these issues! It is nearing the one year anniversary of the declaration of the State of Emergency (November 2nd), and there are 28 community centers in King County that are empty overnight. We need to hold the city accountable to use all available resources to bring people inside! Human Services Bus Tickets: Katie Wilson of the Transit Riders Union discussed work that is being done to make transit more accessible. TRU was foundational to the addition of a combo ticket for the bus and light rail. Now TRU is focusing on ways to lower the cost of public transportation. Organizations that help people with bus tickets are consistently low on tickets and with increases in fare prices they are unable to increase the number of tickets they provide. Take action: message your county council members about making transit more affordable. Find sample emails and phone messages here! Vote YeST3 on Regional Proposition 1 (at the end of your ballot) by November 8 to expand Mass Transit Now! The Coalition has endorsed prop 1 and encourages you to vote yes because it will expand light rail and bus rapid transit to many places in King/Snohomish/Pierce counties, as well as provide space and money for affordable housing. Click here to find out why we think you should vote yes on proposition 1! Metro Late Night Service Expansion Plan: David VanderZee from King County Metro, Tristan Cook from the King County Department of Transportation, and Christine Alar of the Seattle Department of Transportation discussed proposed increases to late night and nightowl services. Nightowl busses increase access to jobs, especially for people working closing shifts or night shifts at our member organizations. During the One Night Count last year, volunteers counted 132 people using busses as de facto shelter. The Coalition is glad to work closely with Metro to address the needs of various people in our community. To read more about proposed changes to night owl services click here and then take action by taking a survey about transit usage! 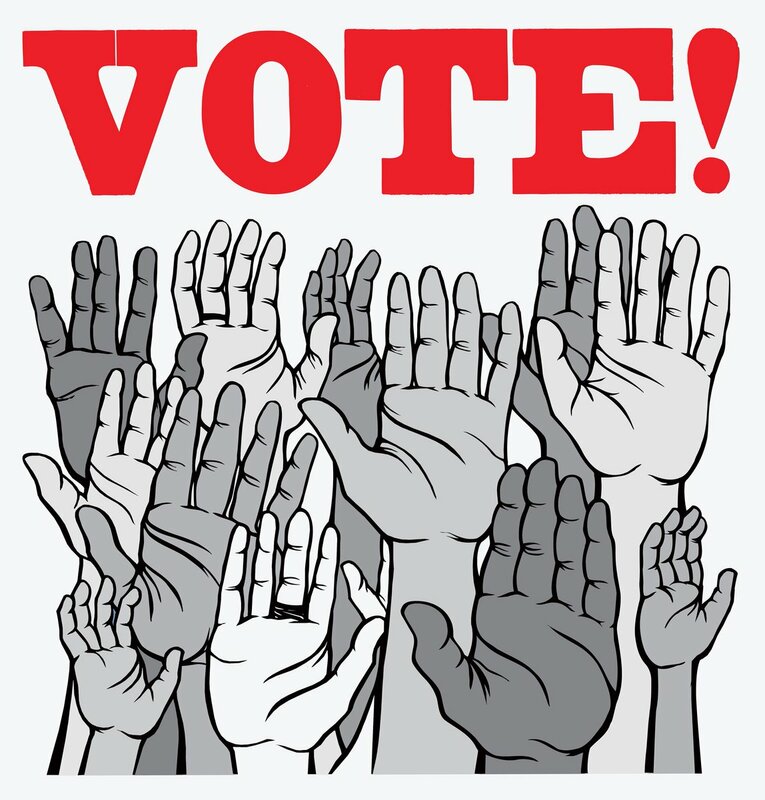 Wednesday, October 26: Ballots received by 10/26: If you or a guest/client/participant has not received their voting ballot, call King County Elections: 206-296-VOTE (8683) Visit blog.homelesinfo.org for signs to post & more information. Monday, October 31: In-person voter registration deadline for NEW Washington State Voters (never registered before) – more information here. Tuesday, November 8: Election Day – Ballots must be in ballot drop-box by 8pm, or postmarked by 5pm on November 8! Saturday, October 29 11am – 12:30pm: Create Change – Using Art to Address Homelessness for Youth & Families – Seattle Public Library Event: Central Library, 1000 4th Ave. Facebook event here. Tuesday, November 1, 5:00 to 8:30 pm: Día de los Muertos Exhibit Opening Event at El Centro De La Raza. More information here. Thursday, November 17, 9:00 to 11:00 AM: General Membership Meeting at E. Cherry YWCA, 2820 E. Cherry St. The Coalition on Homelessness needs YOUR help to make sure that everyone in our community knows how to vote in the November 8th, 2016 General Election. This year Coalition volunteers and Member Organizations helped register voters at the rate of 1/day – that’s 365 homeless and unstably housed people (123 in June, 242 in the Fall) that are some of those who will be receiving ballots for the General Election! We want to make sure that each person who we registered, and anyone else you work with, know how, when, and where to turn in ballots, as well as what to do if they haven’t received their ballot. PLUS, we want to make sure that everyone votes YES on Seattle Prop. 1 for Mass Transit Now! ! Please share this information and call King County Elections (206) 296-VOTE (8683) if you have any voting related questions. Tuesday, October 25: Ballots are mailed to registered voters 20 days prior to the election (on Wednesday, October 19). If you have not received your ballot by Tuesday, October 25, call King County Elections (206) 296-8683. SPREAD THE WORD – put up a sign in your building (write in ballot drop box – there are lots of new ones – closest to you) to alert folks to call King County Elections if they haven’t received their ballot, and to let them know where to drop off ballots near your location. Print these flyers to share information with people you work with! Monday, October 31: In-person voter registration deadline for people not currently registered in WA State. Your new registration must be received in-person at either the Renton office: 919 SW Grady Way, Renton, WA 98057-2906, or Seattle office: 500 4th Avenue, Room 440, Seattle, WA 98104. Tuesday, November 8: Election Day! Ballots must be dropped at ballot drop box (by 8pm) or postmarked by November 8, 2016 (if mailing, pay close attention to mailbox pick-up time. Sign to post: Fill in the blank section with a few drop boxes close to your location. Flyers to share: edit the second page with drop boxes close to your location. Need to read more about your candidates and issues? King County Elections Voter Guide: You can use the online guide, or paper guide that was sent out. If you or the people you work with need a paper guide, call Elections, (206) 296-8683, to request one. Ballots can either be mailed in (with first-class stamp, postmarked by Tuesday, November 8), or dropped off at a Ballot Drop Box by 8 p.m on Tuesday, November 8. Drop boxes are open 24 hours/day. There are 43 ballot drop box locations around King County, many are new, help spread the word! Please Click here for a comprehensive map and list of ballot drop boxes around King County. That page on the elections website will give you a map with markers you can click on for each drop box, below the map is a list of all the locations. If you need special equipment to vote, or you have not received a replacement ballot by election day, you may request a provisional ballot in person at one of these locations. Visit King County Elections for more information and hours.